This just arrived yesterday and I thought I’d dive right in to discussing it. First of all, the track selection is fairly unimpeachable. Then again, Foxx has made no wrong moves in the period covered here, the 21st century from the title. Given that he just released a compilation album of 20th century music called… wait for it, “20th Century” this is symmetrical and correct. My only gripe is that the four studio albums he recorded with Louis Gordon from 2001-2008 yield only the first two tracks. That material is much stronger than one would assume from the dearth of tunes culled for this comp. In a perfect world, maybe this should have been a double CD/DVD package? Indeed, until we heard John Foxx + The Maths, we could not imagine loving any new John Foxx music any more! “A Funny Thing” reflects a minimal electro-haus music vibe. With the exception of the track Adult. remixed that we’ll discuss later, this is a rare foray into dance music [albeit of the glitchy variety] for Foxx. The trio of songs from “Interplay” are as dazzling as ever. That album is still my current go-to for Foxx even after six years. “Catwalk” remains the best electro-trash single imaginable! One that should have topped charts somewhere, for Pete’s sake! I need to be in a club that has that one on its playlist! “The Shape Of Things” only has the motorik “Tides” to represent it, but there’s a trio of tracks from “Evidence,” including the mandatory title track. The second half of the album is where things get interesting to those of us who have been following the program on our own prior to this release. Foxx’s great strength is that he is no stranger to collaboration. When examined, all of this music was written and performed by others working with Foxx. It provides him with a creative vitality that keeps him developing throughout his years, even as he is encroaching on 70. “Evangeline [radio edit]” hailed from the 2013 EP “European Splendour” he recorded with Jori Hulkkonen. It’s not a project that sits in my Record Cell yet, and that pains me as the gorgeous synthetic ballad touched with acoustic guitar [or its digital analog] of widescreen, expansive beauty. Why have I drug my feet on buying this?! There were two new tracks by John Foxx + The Maths that were reason enough to drop bills on this. “A Many Spendoured Thing” sounded like material from “The Shape Of Things” that had not been used. It had a looped, minimal sound that was very 1972 in the mold of that album. The other “new” Maths track was the “title track” to this collection. “A Man And A Woman” was an intriguing melodic piece that actually featured guitar by Isobel Malin, presumably a relation of Foxx’s manager Steve Malins. While Foxx’ voice is remote and precessed, the music bed here was less clinical as much Maths material due to the subtle guitar as well as the almost subliminal vocals of Hannah Peel. That this song was followed by the stunningly gorgeous “Estrellita” from “Mirrorball,” Foxx’s 2009 album with Robin Guthrie was brilliant sequencing as the latter built dramatically on the acoustic guitar present on the former track. When John Foxx + The Maths remixed a single from the last OMD album, “Dresden” it was like a wish almost instantly fulfilled for this fan of both acts. The Maths brought a welcome analog richness missing in the last OMD album for these ears. Now, in a reciprocal turn that seems to be the norm for any Foxx collaborations, OMD have provided a remix of a Maths track. “A Good Shadow” has been touched with hints of Kraftwerk, their common ancestor with the bass line from the “second movement” of “Autobahn” cheekily added to this new mix of the touching closer to the “Interplay” album. I also enjoyed the spidery layers of vocal choral effects redolent of their similar work on a track like “Souvenir.” The cut has subtly altered by OMD here with the primary melodic loops not appearing until almost half way into the song’s 3:30 length. The EQ here was not as polarized as the original version, which sounded like any midrange was cut from the track, leaving only bass and treble. I was alerted to the pleasures that can be found on the discs of Adult. back in 2006, when I had an ad-free subscription to Pandora. I only ever had one station, but the seed was a powerful one: Gina X Performance. To date, I only have a single Adult. album in my Record Cell, “Why Bother?” and I really should have more, Particularly since the last one seemed to be a sea-change of sorts as the formerly brutalist minimal electro band seemingly became more musically expansive. Their remix of “The Shadow Of His Former Self” retained only Foxx’s vocal for a minimal tech house excursion here that seemed simultaneously more streamlined and tricked out. It attained a bouncy club vibe alien to the original version and I really appreciated the aciddub rhythms in the final coda that recalled the “Water Babies” remixed B-side from Duran Duran’s “Serious” single. 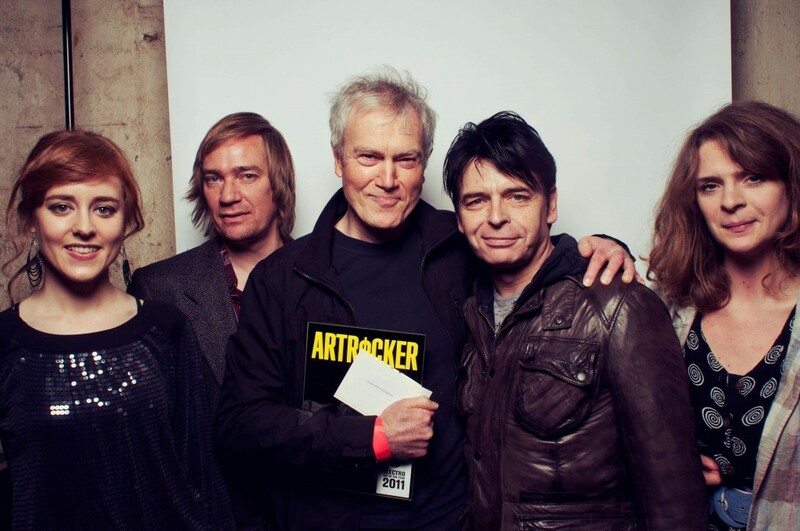 Finally, the vaunted collaboration between John Foxx and his number one disciple Gary Numan was a third remix version of a track from the second Maths album that had seen Matthew Dear and Tara Busch trying their hand at mixing on the “Evidence” album. Here Numan subtly altered the glitchy rhythms that Foxx had employed to create tension and distance but like Matthew Dear, he waited until the son’g eruption into a tightly sequenced middle eight where the tempo sped up to inject himself fully into the song. When he did, what he delivered was a heady mix of “Telekon” era vibe featuring thick Polymoog leads and slightly queasy, minor key harmonics that were his stock in trade at that point in time. As an old fan who cherished this era in particular, it can’t help but make me smile. Especially as it could have gone all so wrong, given Numan’s penchant for aggro-metal NIN knockoff rock these days. That it still sounds like a mashup of two tracks comes down to the formatting of the original track itself, which always felt like that in any case. So while this is not the seamless collaboration that may have been what we had hoped for up front, what was achieved, was certainly good. In fact, this is now my favorite version of the track, which is no mean feat. Why not listen now? All of these are pleasant enough to view once or twice but I must mention that the clip for “Walk” was exceptionally good. Almost riveting, in fact. Rarely have I seen such a successful visualization of a Foxx song in video form. Finally, the deluxe version also came with bonus DL tracks. I was most interested in hearing what they brought to a live in studio reading of my favorite track, “Evidence.” At first blush, nothing much, but after the song’s identical intro ends, the changes were dramatic. First of all, the loops were running off of programming but Benge was slamming his Simmons kit and Hannah Peel was playing electric violin throughout for radical difference to be heard here. The effect was more bombastically “rock” for this normally subtle track. Tasty! “My Town” was the track here the most similar to the album version, but even it and especially “Walk” picked up some vintage Numan “Touring Principle” energies due primarily to the violin of Ms. Peel. This collection was at least a third new to my ears, so in a world where there might only be a single new Foxx track on a comp to bait the fans with, that’s a fairly liberal allotment. Especially with the DLs added to the list. As a snapshot of the first 15 years of this millennium’s work for Foxx, it reveals a significant truth. While a work like “Metamatic” was almost a singular work, barring the bass of Jake Durant, the vast majority of the dozens of projects that Foxx has released in the super-fertile modern phase of his career [1997-2016] have been collaborative works. The man obviously thrives on combining his artistic DNA with those of others. The resulting growth has made for a portfolio that shows a consistent thematic focus even as it bounds all over the musical map with a hybrid vigor that leaves his competition very much in the shade. Contrasted with the stultifying insularity of Kraftwerk’s approach, the results are dramatic. 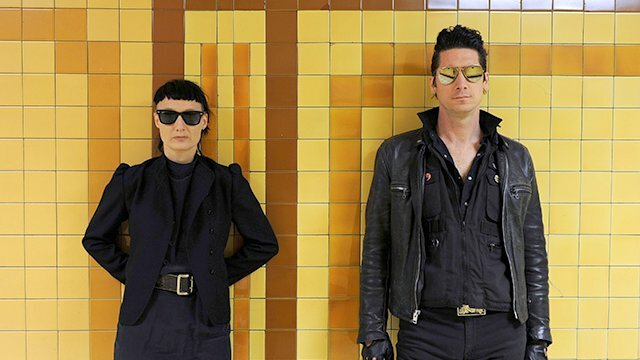 Here, the student has very much eclipsed the teacher even as a new generation of electronic artists now consider Foxx to be the godfather of synthetic rock. This entry was posted in Core Collection, Record Review and tagged 2016, compilation, Gary Numan, John Foxx, John Foxx & The Maths, John Foxx + Louis Gordon. Bookmark the permalink. 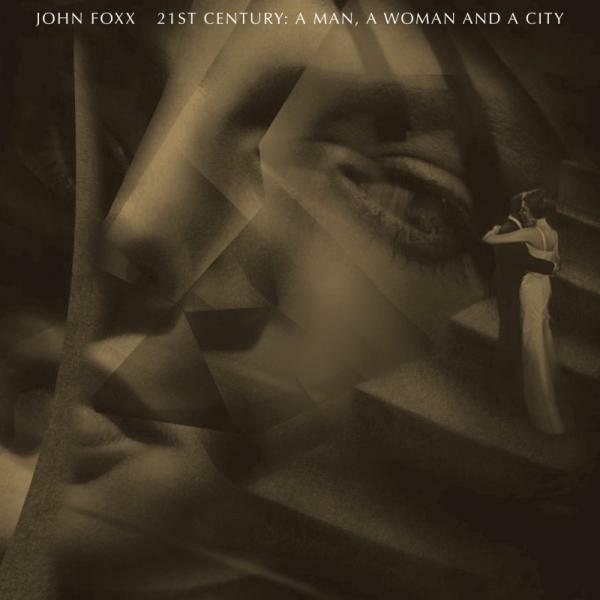 This is a magnificent collection of the Modern John Foxx. The true highlights of the cd are the Jori Hulkkonen collaboration on Evangeline – possibly my favorite Foxx song of the new millennium and the long awaited Gary Numan collaboration on Talk. Evangeline is a thing of beauty. Haunting and intense, it takes the listener on a flight through emotions of love and longing, gripping the listener tightly from start to end. There is no escape from this musical force. Talk (Are You Listening To Me?) is the exactly the sound I would have expected from Foxx/Numan in 2016. It is built on the base of a strong modern Foxx tune which hints at the similar musical path both artists have travelled and been influenced by recently, but once the song is handed over to Numan, he builds out a beautiful, respectful, homage to the long path both artists have travelled down to get to today. Elements of Telekon and Metamatic envelope Numan’s distant and self conscious lyrics and vocals. It is amazing to hear how seamlessly the music comes together and proves that if the artists are of a similar mindset, even collaboration by file sharing can have a tremendous outcome. Echorich – Too true on “Evangeline!” I am chastened that I still don’t have that, but when an artist releases so many records, much of them in limited editions, you have to strike at what is most likely going to be difficult to buy later first and hope for the best on the rest. For example, the “He’s A Liquid” 12″ is sold out now. Good thing I pounced. I certainly understand. My Foxx collection will never be complete, but Foxx has proven that he is willing to return to his past for reassessment, reappraisal and expanding his audience. He does this with aplomb. Re Numan, have bitten the bullet and have a ticket for his October UK tour focussing on Pleasure Principle, Replicas and Telekon. Hope he does them justice, a fair few years back I saw an album show for PP and left disappointed as it was done was an industrial spin and felt wrong to me. SinonH – My wife thinks “Catwalk” should be massive and I’m right there with her. I would maintain that Foxx has already written big pop songs, but I suppose he means actually on the charts. Good luck with that Numan concert! I passed on the US “Pleasure Principle” tour a few years back when in relatively nearby Atlanta, because I thought it would be exactly what you described. Had it been a US “Telekon Tour” I might have gone anyway. You CAN’T aggro up that album. It’s too melodic! I saw him only once, on the “Exile” US tour in a small club and that was probably the last second I should have seen him. The show had been scheduled for a larger (nice) venue but the promoters moved the show to their club that fit a few hundred at best. Probably due to poor presales [ I bought mine] but I was looking forward to the show at the Bigger club and was disappointed. Numan was more than disappointed. He was pretty angry. Lots of “Replicas” was played reasonably well, so I was happy, after a fashion. He’s been doing some Telekon shows in the US recently, saw some footage and that was what pushed me into getting a ticket, fingers crossed! SimonH – Don’t forget to report back your findings! Jealous of Echorich’s Numan gig experiences…! SimonH – Me too. Not only did he see the Teletour but also the Fury and/or Strange Charm gigs! I had so many opportunities to see Numan in the 80’s – from The Touring Principle through The New Anger Tour, that I just worry every time Gazza come back on tour that my fond, fond memories will be diminished. I also saw the Exile tour at a 1000 max venue and the show was good, but not memorable. Best Numan tours for me, Touring Principle and Tele-Tour at The Palladium, NYC and the Skin Mechanic Tour at The Dominion Theatre in London.